We recently began using a set of solutions in our internal Microsoft Dynamics CRM system that has just been phenomenal. 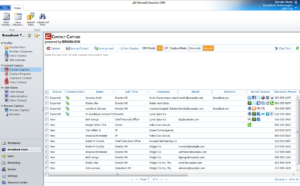 Since starting to utilize Broadlook’s Contact Capture, we no longer have to undergo mundane and time consuming data entry tasks to create new contact records into our Microsoft Dynamics CRM system. Our sales and marketing teams are busy making calls, holding meetings and sending emails, not entering data into CRM! 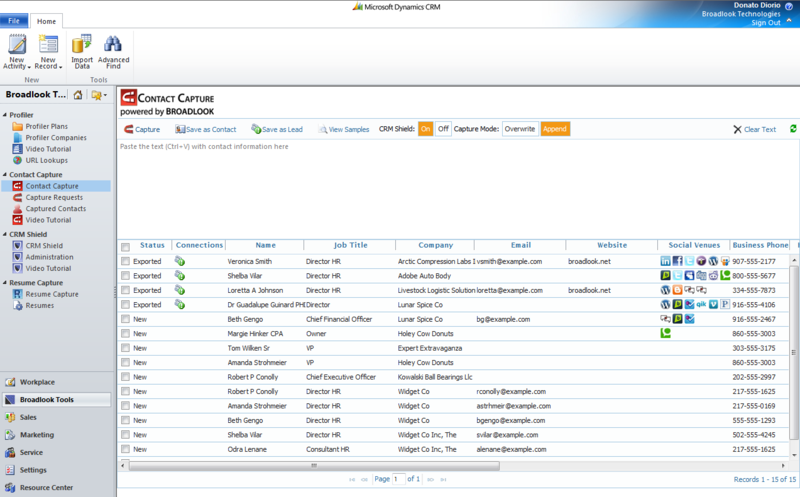 Contact Capture obtains contact information from documents, email signatures, and lists, then directly exports the data right into Microsoft Dynamics CRM as a contact or a lead. 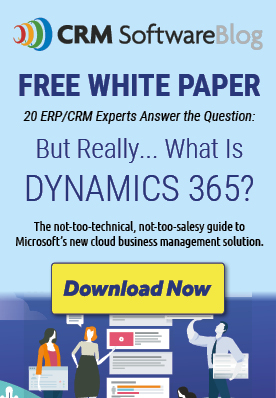 Simply copy and paste the information you want added to Microsoft Dynamics CRM into the Contact Capture tool, and tap a key. That’s it. All of those new contacts are now ready to become contacts or leads in your CRM. Imagine the time savings and value to the business by not having to manually enter or copy and paste contacts into CRM! Our employees have become more efficient and are enjoying higher productivity.